We all know that beauty and fashion go hand in hand, so when it comes to accessorizing with glam jewels, the right makeup can give your look of the day that extra oomph to hit It-girl status, at least among your friends. Proenza Schouler makes the most perfect cool-girl-but-not-trying-too-hard pieces that every stylist and blogger covets, which is exactly why we are so excited about their collaboration with MAC Cosmetics. 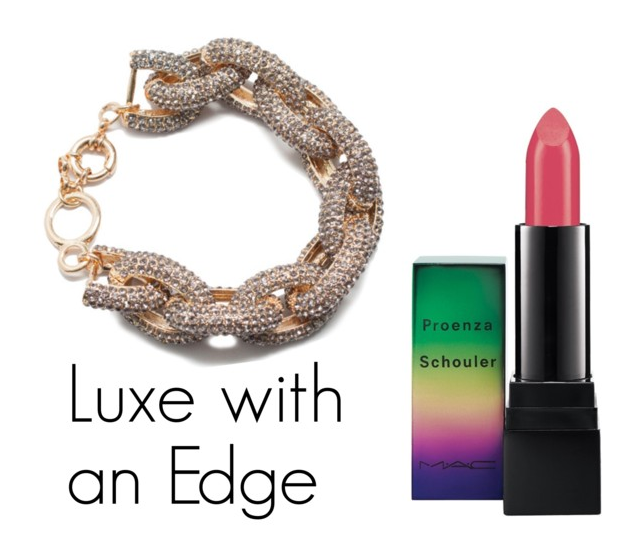 This lipstick would look amazing with the new edgy gray version of our bestselling bracelet. 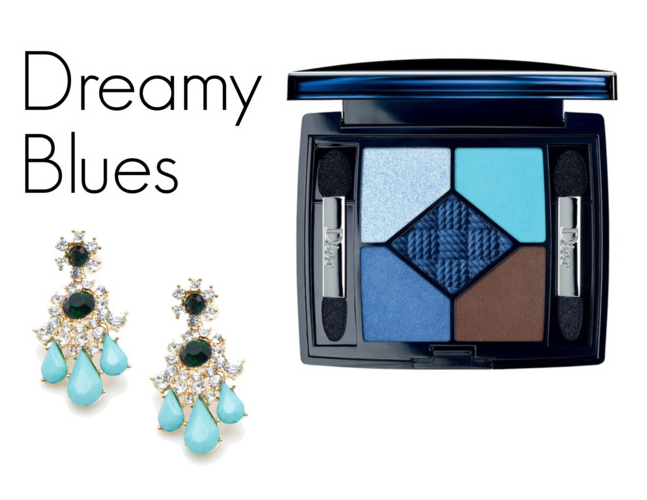 This mysteriously sophisticated eyeshadow palette is all we want to wear come Summer. Just imagine how gorgeous it would look next to a sun-kissed complexion! Our glammed up earrings are luxurious like a beach vacation in Ibiza, but don’t take themselves too seriously with pops of fun turquoise. 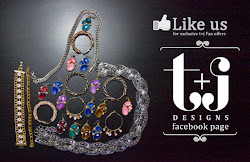 Wearing rings is going to cast attention to your nail color and vice versa, whether you like it or not. You might as well go with the flow and play it up with a bright coral polish and bejeweled statement rings. We love this combination from our newest arrivals! What tips do you have for coordinating your beauty and accessory look?